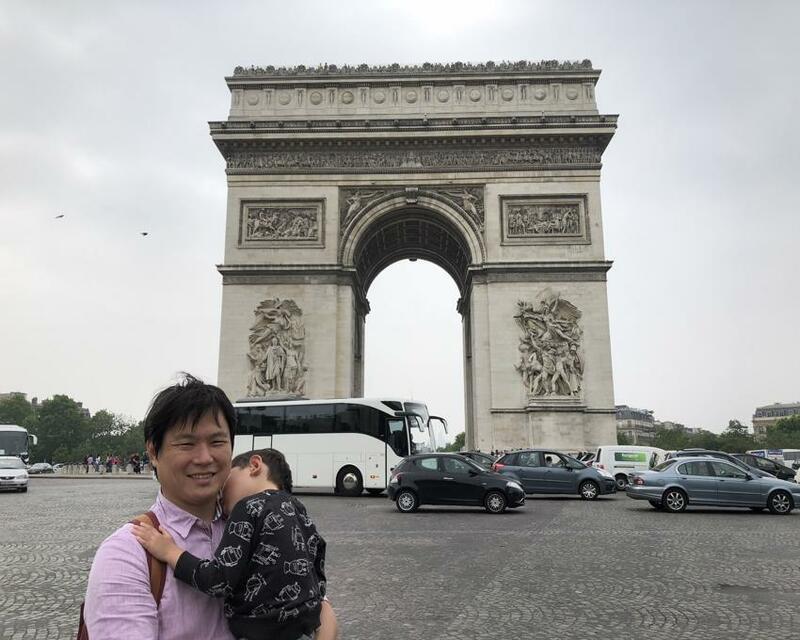 We deliberately left Paris city itself to the tail end of the trip, primarily to cover last minute shopping and perhaps time to ‘relax’ as well. It’s also the part where we spent the most time (5 full days) to slowly soak in the best of the city had to offer. The weather forecast for the entire week was a bit worrying as it showed as rain/shower predicted just about the entire week that we were there. It didn’t turn out to be a major obstacle though, which was positive. 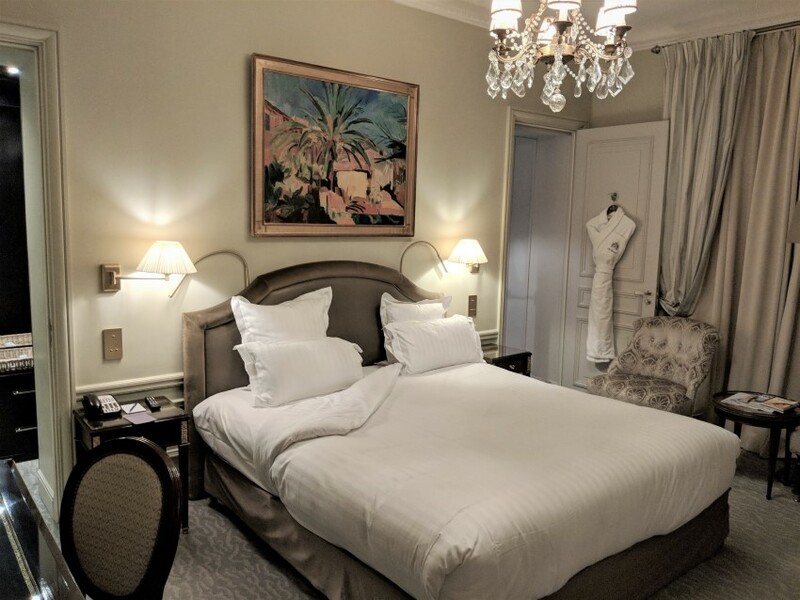 Our choice of accommodation was Hotel Westminster located near Paris’s famous Opera theater, and not too far from Louvre Museum. The cost was definitely the highest (per night) here, which is not so surprising given Paris isn’t exactly a ‘cheap’ city. Having said that, our stay was almost tainted by the not so great room we got for the first night. It was old, cramped, and really looked like it needed some maintenance. It’s definitely a very old and tired hotel if we judged it by the room we stayed in the first night. Fortunately, they do have plenty of renovated rooms as well, and it seems all the positive reviews on sites such as booking.com referred to the renovated ones! We didn’t hesitate to ask for a room upgrade, and was eventually moved to the “Signature Suite” room that was much much better (though we had to pay significantly more for it). The difference was night and day, and if anyone is going to stay at Hotel Westminster, do yourself a favour and pick the “Signature” rooms. 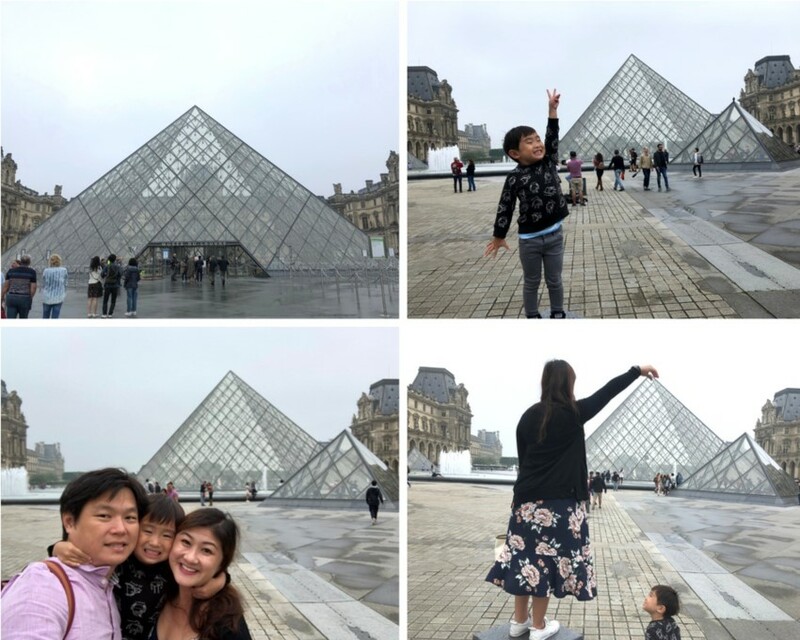 For our first day out, we went straight for the famous Louvre Museum given its proximity to our hotel. The only problem was.. it was CLOSED on the day we went. It’s apparently closed every Tuesday… a fact that we should have known had we done some proper research upfront. It turned out ok though because we managed to take quite a lot of photos outside with the famous glass pyramid without the crowd! You would be surprised, just how many people still rock up to a closed museum just to take photos near the entrance. We weren’t any different, and took photos with the few mandatory poses that every tourist must take of this museum! Given we were suppose to spend the day here, we had to scramble for a few alternative places to go instead. We settled with dessert at Laduree across the river, specifically this one. One would probably come here to cross off a few mandatory french desserts like macaron and eclair.. which we did. But the one most memorable to me, was actually a random one I picked from the menu.. an ice cream bar (pictured lower right above). Highly recommend it! 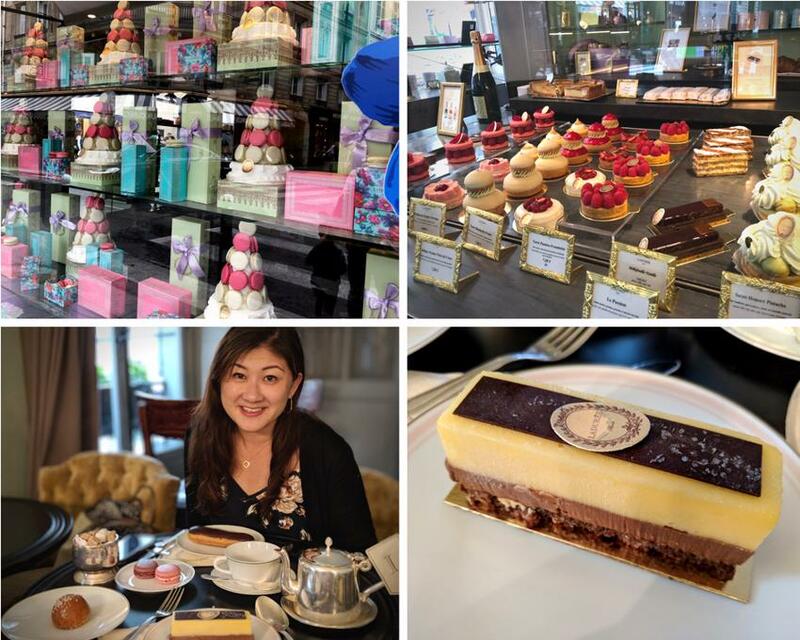 That reminds me that there is a Laduree branch in Singapore too. I’ll have to see if I can get that ice cream bar back in Singapore! On the second day, we trekked to Louvre Museum once again, this time with a bit of research upfront. It was definitely open, to start with! 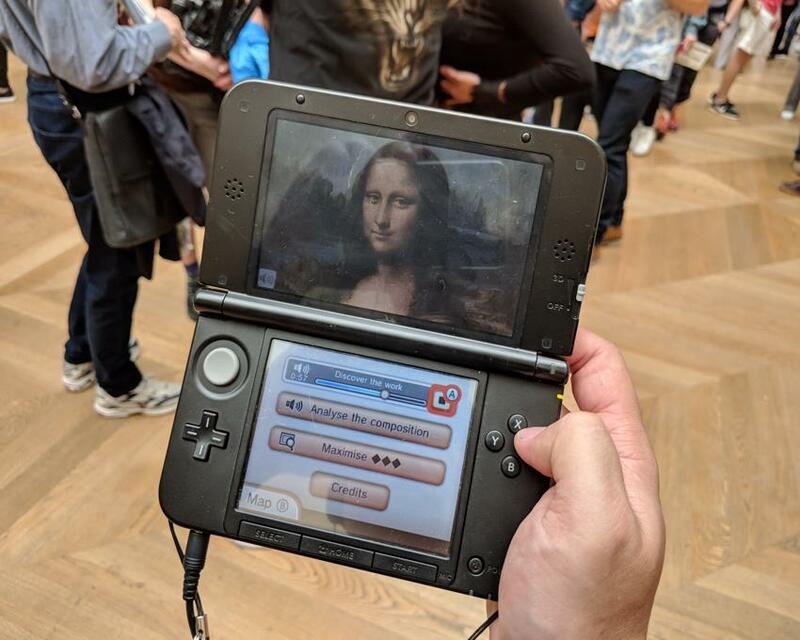 We managed to find a few tricks of the trade from the Internet, and bought the tickets at Louvre Museum without the massive wait, i.e. by going via the underground entrance. We still waited about half an hour, but it was sure a much shorter wait than what we have heard (i.e. hours!). Art isn’t exactly my biggest passion, and I guess majority of the tourists here weren’t either. We really came here to see the one mother of all paintings, i.e. Mona Lisa.. and frankly that was all that mattered! Most people would say it’s “small”. But to me, the real painting is actually not that small. I would say it’s the sort of size that one would typically hang on the wall of a family home. It just looked small because the whole room was filled with much much bigger paintings all around it. 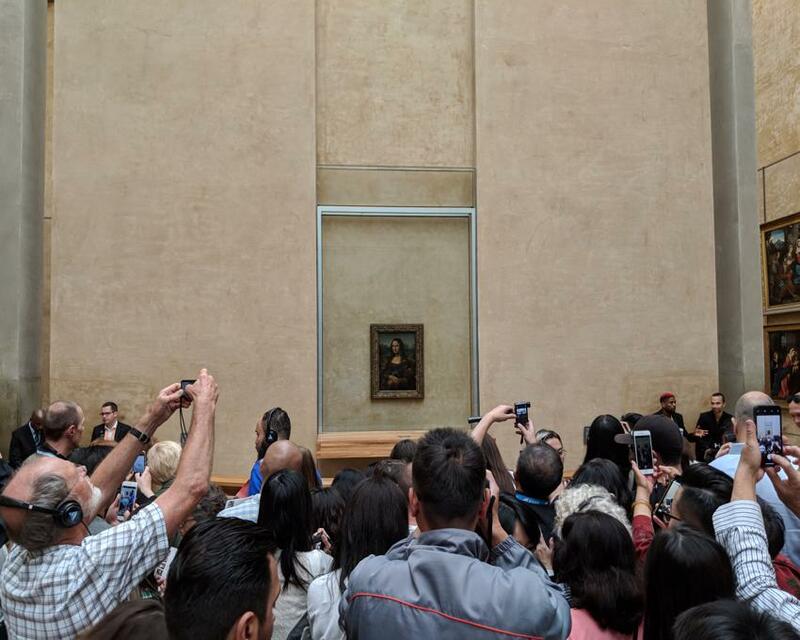 The painting did look awfully lonely with its dedicated wall, yet it commanded the largest crowd, along with cameras pointed at it.. hands down! The other more interesting aspect of the visit for me, was actually the audio guide. 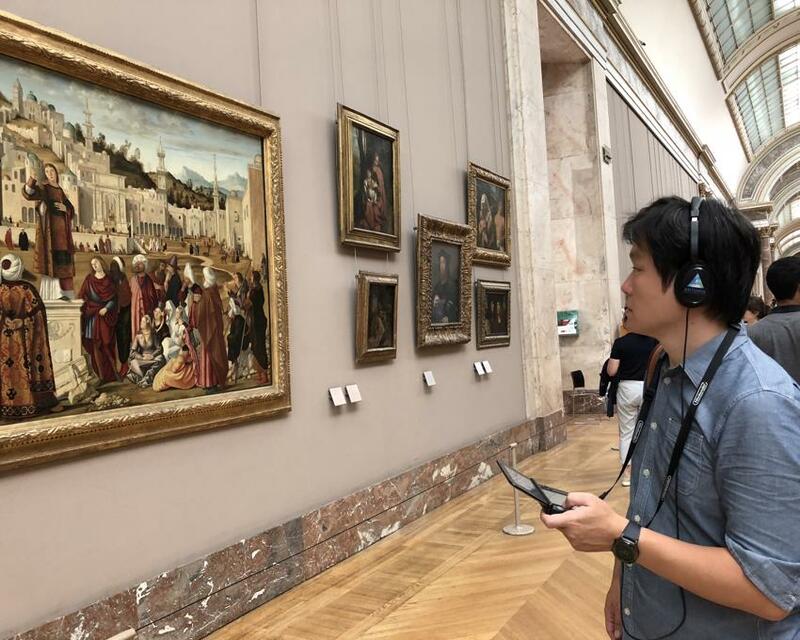 I would say a visit to Louvre Museum with this audio guide is a must! First, it’s actually a Nintendo DS! And it’s actually a “game” that you can buy from retail store, should you want to visit the museum virtually. I thought it was cleverly done, and the walk around the museum would have been pretty boring/empty without all that extra explanation! At least I tried to look like I care about art for a couple of hours roaming around with it. No doubt, there is a LOT to cover at the Louvre Museum and people go on about how you can spend days here and still not finish it. With a 3 year old, I can assure you, we ‘finished’ it in less than 3 hours. I achieved what I came here to see, but I certainly will have to come back some day to really appreciate and visit the rest of the museum properly. 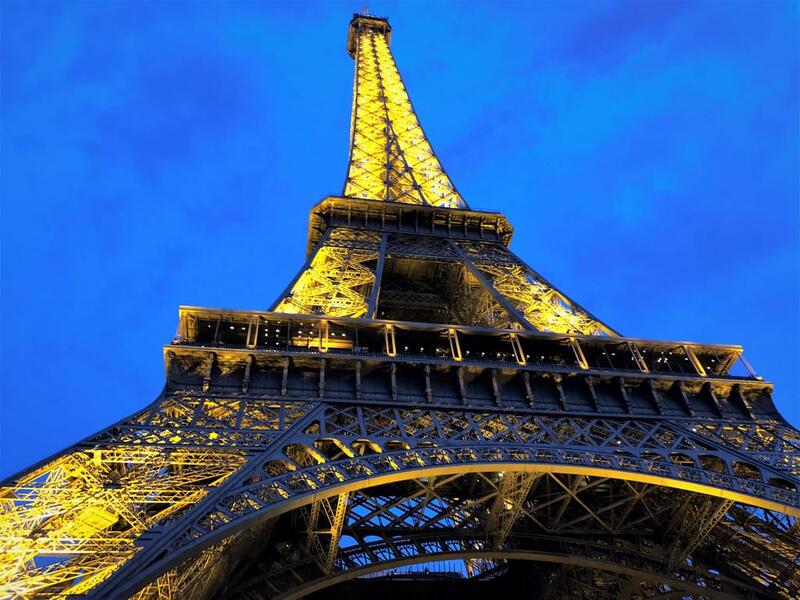 Now Eiffel Tower, has got to be one of the most famous attraction in the world. 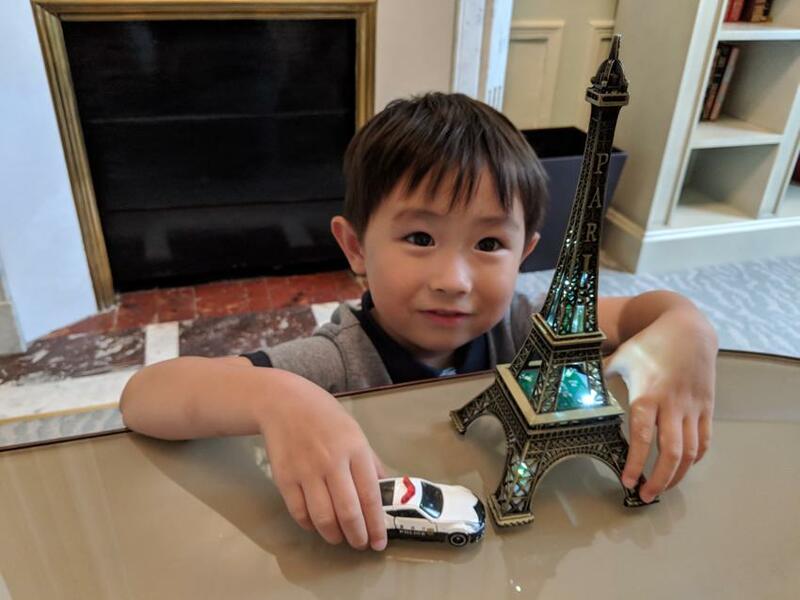 Even Ethan had “seen” Eiffel Tower prior to the trip to Paris in one of the cartoon show he watches, called Go Jetters. So he kind of expected it and was reminding us just about every day to to visit it. 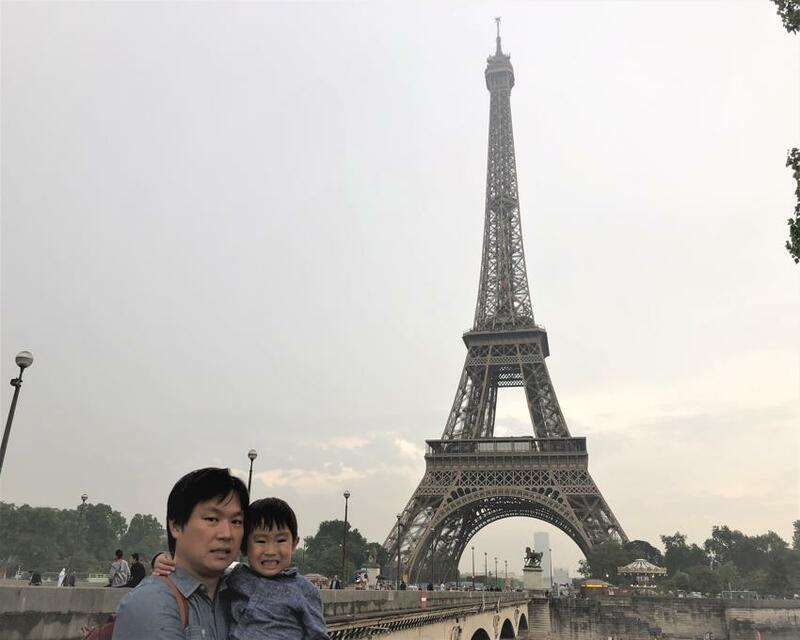 With a bit of research upfront, we followed yet another “pro tip” discovered on the Internet, where we went to visit Eiffel Tower during dinner time! After all that’s when everyone else is busy eating, which made sense! It meant that we didn’t need to buy expensive, overly marked up tickets from online agencies, and best of all.. no queue! For the record, we paid EUR25 for the adult lift tickets to get us to the top as well as the second floor, absolutely crowd free! It will cost at least triple that with one of the online agents, just to get the privilege to skip the queue. Anyway, Ethan was arguably the most excited to see the tower. When we saw the real thing, his expression on his face just ‘lit up’! Once we were in, we probably spent a good 4-5 hours there until after sun sets at about 10pm! No crowding.. just free roaming with plenty of day light left. 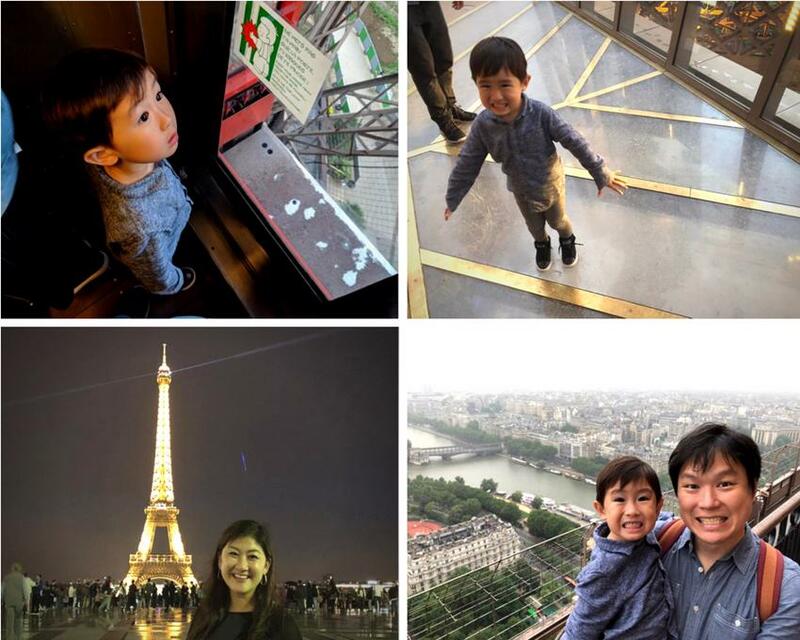 I realised that Ethan wasn’t all that scared of height at all, whether it’s going up the lift, or standing on the semi-transparent glass floor, or just looking down from the top floor! Maybe he was just too busy putting up just about the biggest grin for his photos. The only one where he looked worried was where he got to pretend to walk on the tower’s beams dangerously.. It was just a blue screen gimmick, and a bit of photo/movie magic on a projector. He looked pretty convincing though. Overall, I do agree with most online forum’s comments about the view being as good if not better from the second floor, compared to the top. My personal opinion is that the top floor probably isn’t about the view, but about the ‘scarier’ journey / lift ride to the top. 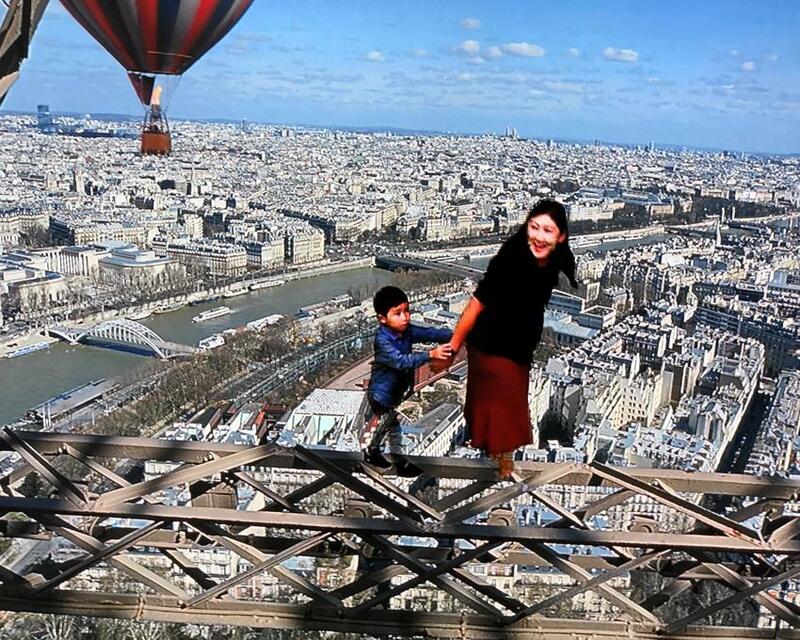 If I ever go to Eiffel Tower again, I would still go to the top! I’m sure Ethan would like to come back again. For now, we got him a cheap Eiffel Tower replica we picked up from one of the guys selling it on the street for EUR8 to keep him entertained! 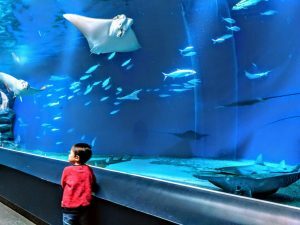 By the 4th day, we had covered most of the main attractions that we wanted to see, so everything else was optional. 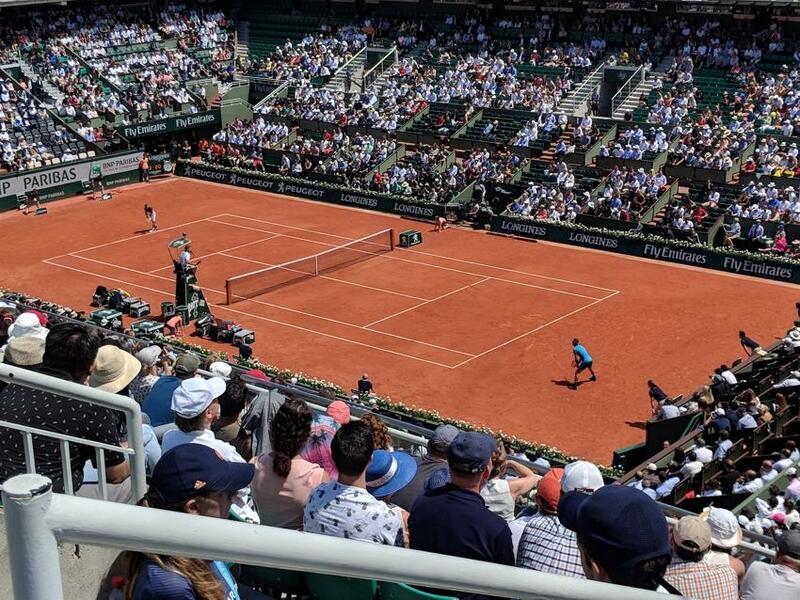 I did see an advertisement somewhere that Rolland Garros Tennis Championship was on the same week we were there. It also happened to be the day when it didn’t rain! And I knew that I would never come here again just to watch a tennis tournament, so I made the call to go see it. 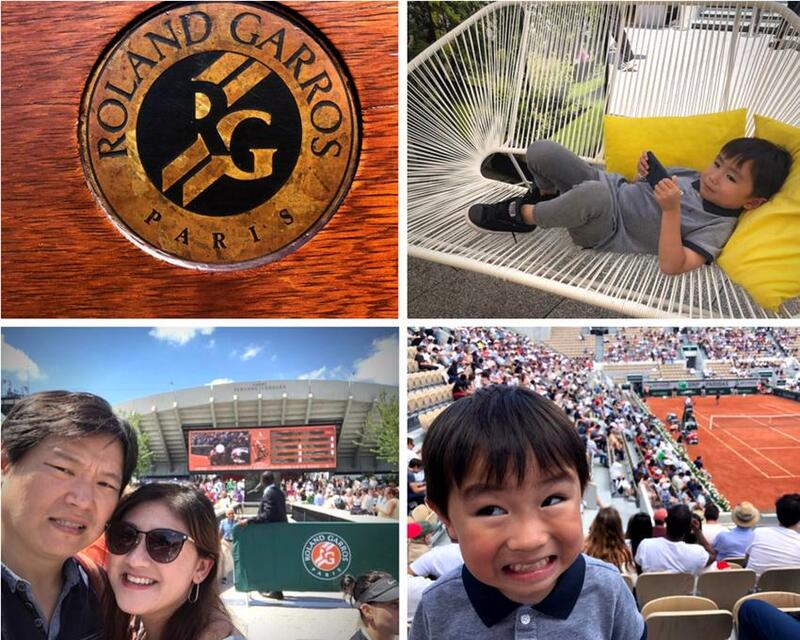 The day turned out to be a pretty good one for all of us, as we saw a lot of famous names (mostly past champions) like Marat Safin and Michael Chang playing “Legends” matches. Rafael Nadal, the king of clay court, wasn’t suppose to be playing on Thursday, but due to rain on the previous day, it was delayed by a day. As I bought a seat on the day, I didn’t exactly get a great seat, nor did I expect it. Nevertheless, I definitely felt the atmosphere/passion of the crowd, even though it was a fair distance back. As expected, Nadal went on to win the championship that weekend. It was pretty much expected anyway. As for us, we really didn’t spend that much time there at all, after the Nadal match. We pretty much left by the afternoon when Ethan started his nap time. Another “must do” apparently, which we covered off in the evening after dinner. Seemed to recall a lot of cheering the crowd along the river, while cruising along. 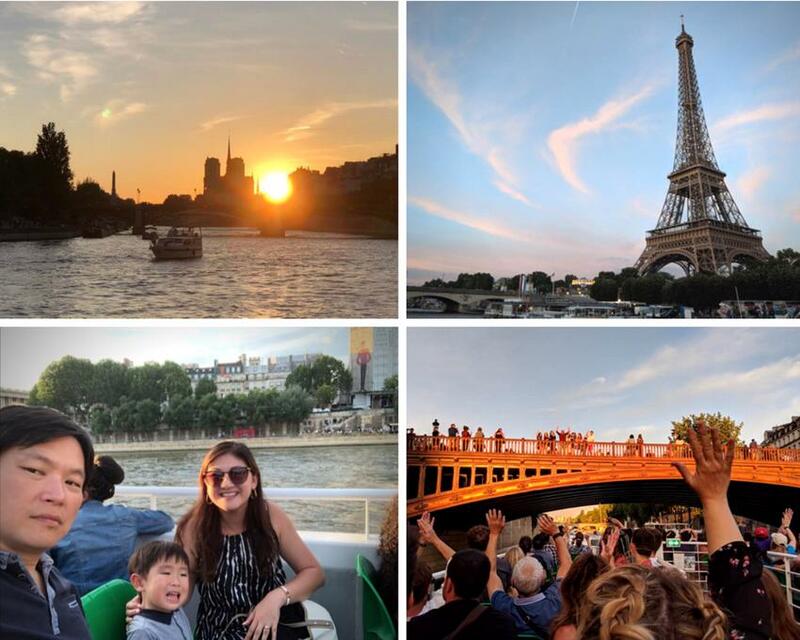 The sunset was pretty romantic, and to cap it all off, we did catch a glimpse of the Eiffel Tower one more time, though at a distance. Is the cruise worth doing a second time? Not sure. 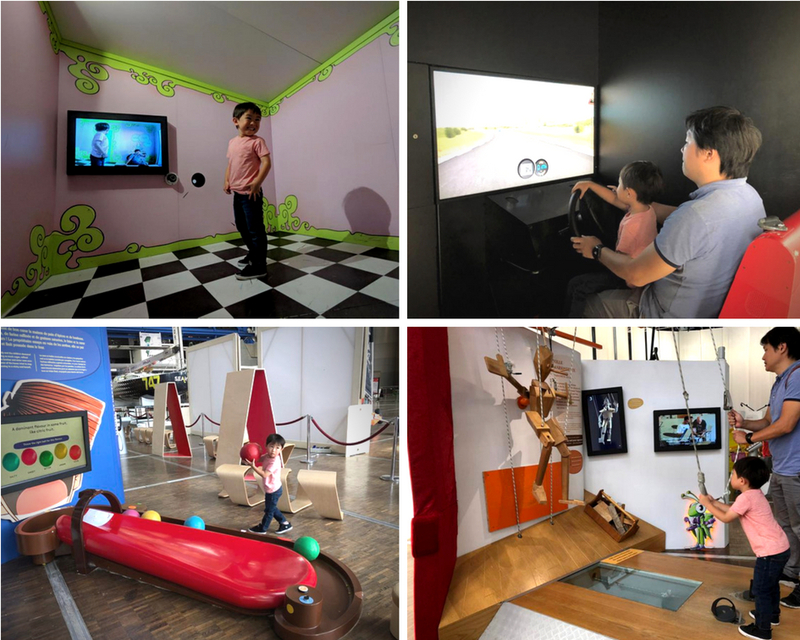 The science museum of Paris probably won’t be on a typical tourist’s itinerary coming to Paris. But we spent a good half a day here, to keep Ethan entertained. 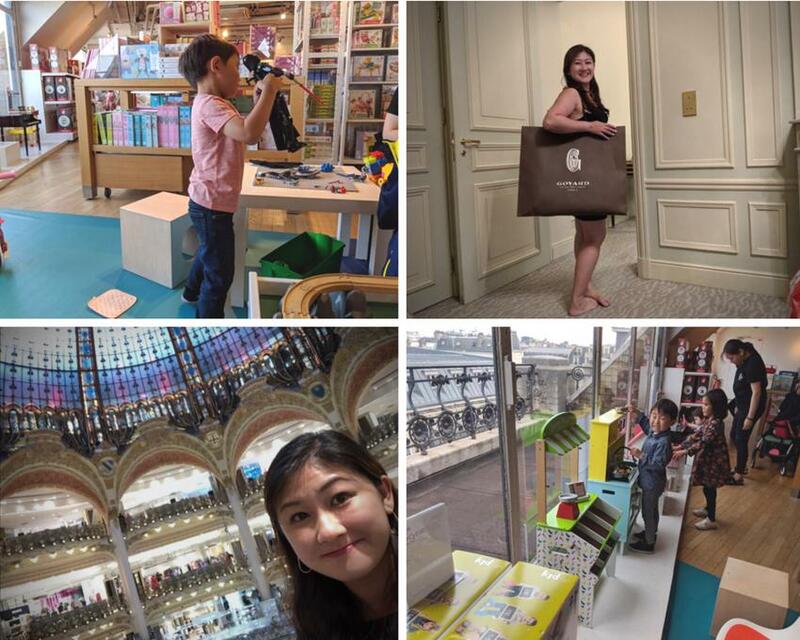 I actually planned to come to see a dedicated section of the museum just for kids, called “Cité Des Enfants”. But it turned out, you need to book and reserve your time slot online before you come. As we rocked up not knowing this, we ended up just visiting the main museum instead. There were still plenty of stuff for kids, and I think Ethan liked it. It didn’t come across as “wow”, but nevertheless we think he enjoyed it. One of the biggest “must do” that we didn’t end up doing, is eating out at 3-Michelin star restaurants. With a 3 year old, I figure it would not be appropriate given some of the heated debates on the net about taking kids to one of these restaurants. We did have one decent experience at Chez La Ville, which is not a Michelin star restaurant, but definitely French! The staff were very friendly, and the food was definitely unique. 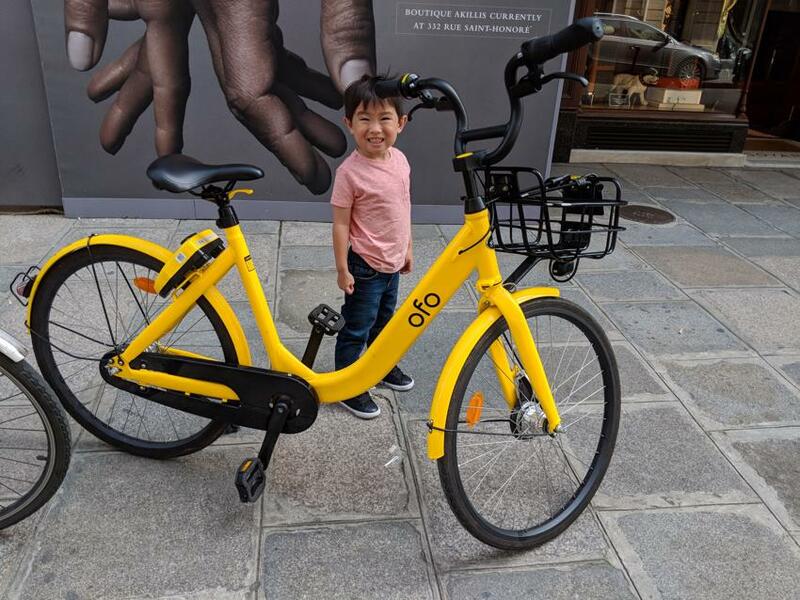 Another interesting ‘discovery’ that we didn’t find on the Internet was OFO share bikes.. most Internet sites will tell you to go get a “Velib” pass, but as we were already OFO users back in Singapore.. it was actually free for us! 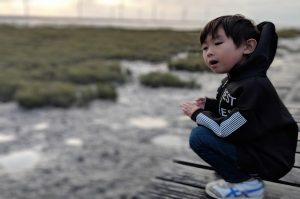 Not that I got a chance to roam around much, with a 3-year old around! We ended our trip with a rather uneventful direct flight back to Singapore. 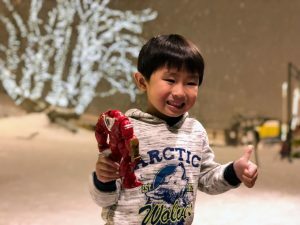 It was a day flight lasting 13 hours, but fortunately Ethan made it back without any issues. He did get a bit fidgety towards the end of the flight, but managed to survive through with a mix of in-flight entertainment and iPad 🙂 The trip to France this time round did remind me that I really haven’t been back to Europe much since the last one a few years go (2015 to be exact). I need to make another plan to come back to Europe again some time in the near future!